Money can easily be regarded as one of the greatest incentive for hard-work in any industry, the legal profession inclusive. The legal profession requires a minimum of 6 years of study (in Nigeria), unfortunately after the attainment of this feat, lawyers are still unarguably one of the least paid professionals in the country. Most Nigerian law firms are best-known for their absurd remuneration. For instance, after going through rigorous years of study some lawyers get paid as low as N20, 000… there are so many unsaid issues about this emolument. However, there exist some prominent law firms with payrolls that can be considered as ‘High’/ ‘Satisfactory’. Money is never enough, considering the bills to be paid, mobilization and maintenance. The following law firms pay within the range of N1.5 Million – N3.5Million per annum. 1. Bloomfield Law Practice: Leading the pack of top paying law firms in Nigeria is Bloomfield, established in Lagos as a specialist commercial law firm vast in practice areas such as Asset Management & Private Equity, Aviation & Logistics, Intellectual Property, Shipping & Oil Services, Corporate Finance & Securities, amongst others. The firm’s remuneration for associates per annum is estimated at N2.8M – N3.5M. 2. Udo-Udoma & Belo-Osagie: This is a corporate and commercial law firm with practice areas such as Banking & Finance, Capital Markets, Real Estates, Oil & Gas, Corporate Advisory, Private Equity, Power & Infrastructure, and also Litigation, Arbitration & Alternative Dispute Resolution. The firm has been described in international rankings as one of Nigeria’s “Magic Triangle” law firms. It has its offices in Lagos, Port Harcourt, Abuja, Uyo and Ghana. The firm’s annual remuneration for associates is estimated at N2.7M – N3M. 3. Detail Solicitors: Based in Lagos, Detail is Nigeria's first commercial solicitor firm to specialise exclusively in non-court room practice and they are reputed for dealing with the minutiae practice areas such as Corporate & Commercial Law, Oil & Gas, Power, Real Estate & Construction, Finance & Capital Markets, Infrastructure, Public Private Partnership & Project Finance and Media, Entertainment & Technology. Starting salary for associates at the law firm is between N2.5M – N3M. 4. Olaniwun Ajayi LP: Olaniwun Ajayi is a full-service law firm with offices in major commercial centres across Nigeria which has consistently provided legal advisory services to private entrepreneurs, key sector operators, financial institutions, governments and governmental agencies as well as multinational corporations in an array of complex transactions in areas such as Energy and Natural Resource law, Intellectual Property law and policy, Engineering and Construction law, Insurance, Taxation, Shipping and Telecommunications law. 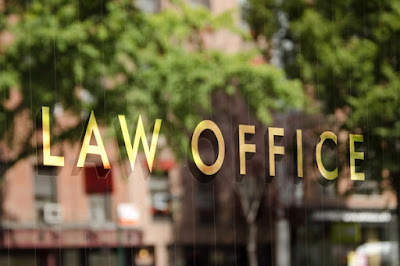 The firm also handles litigation, arbitration and negotiation. The firm’s annual remuneration for associates fall between N2.4M – N2.8M. 6. G. Elias & Co.: The firm’s key practice areas include Corporate, Banking, Capital Markets, Litigation and Arbitration, Tax and Intellectual Property. This Lagos-based firm has a clientele which operates in a wide variety of sectors of the economy including financial services, oil and gas, electricity, food and pharmaceuticals, consumer goods, real estate, transport and telecommunications, media and technology. As starters, associates are annually paid between N1.8M – N2.2M. 7. Aluko & Oyebode: This firm provides a comprehensive range of specialist legal services to a diversified clientele in practice areas such as Energy & Natural Resources, Corporate & Commercial, Banking & Finance, Capital Markets/Mergers & Acquisitions, Intellectual Property, Real Estate, Taxation, Shipping & Aviation, Telecommunications, Privatisation, and Dispute Resolution. The firm has its offices in Lagos, Port Harcourt and Abuja. Starting salary for associates at the law firm is between N1.8M – N3M. 8. Templars: With offices in the cosmopolitan cities of Lagos, Port Harcourt, Abuja and Uyo, this firm pride in sector strengths which cover diverse areas of the law including Corporate and Commercial, Energy and Natural Resources, Telecommunications, Foreign Investment, Banking & Finance, Shipping and Maritime, Aviation, Taxation, Commercial Litigation, Alternative Dispute Resolution and Project Finance. Associates’ remuneration per annum is estimated at N1.8M – N3M. 9. Banwo & Ighodalo: The firm is known for providing innovative, competent, and well-timed solutions with offices in Lagos and Abuja. B&I has five main practice groups, namely, Corporate, Securities & Finance, Litigation, Arbitration & Alternative Dispute Resolution; Intellectual Property & Information Technology; and, Shipping, Aviation & International Trade. Associates’ remuneration per annum is estimated at N1.8M – N3M. This is so poor. i must tell you that there are so many law firms that pay higher than the figures you have stated above. please go and do a thorough report. This is arm-chair journalism.